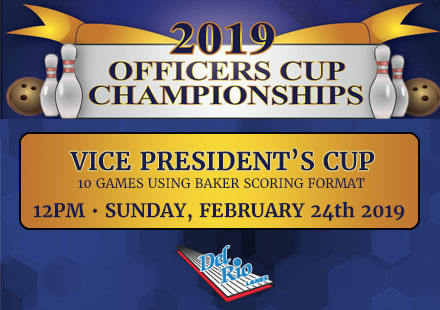 On Sunday, February 24, we will be honoring the vice presidents of our leagues – putting together teams of five to bowl in Baker format. Teams of five are formed, with each person getting to bowl two frames in a game. Bowler 5 gets 5 and 10. Check in is at 11:30 a.m. Bowling will begin at noon.